Dhirajlal Hirachand Ambani, one of the leading Indian businessmen, was born on December 28, 1932 in Chorwad, Gujarat. Popularly known as Dhirubhai Ambani, he heads The Reliance Industries, India’s largest private enterprise. Reliance, acknowledged as one of the best-run companies in the world has various sectors like petrochemicals, textiles and is involved in the production of crude oil and gas, to polyester and polymer products. The companies refinery at Jamnagar accounts for over 25% of India’s total refining capacity and their plant at Hazira is the biggest chemical complex in India. The company has further diversified into Telecom, Insurance and Internet Businesses, the Power Sector and so on. Now the Reliance group with over 85,000 employees provides almost 5% of the Central Government’s total revenue. Dhirubhai has been one among the select Forbes billionaires and has also figured in the Sunday Times list of top 50 businessmen in Asia. His industrious nature and willingness to take on any risk has made him what he is. 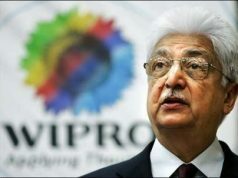 In 1986 after a heart attack he has handed over his empire to his two sons Mukesh and Anil. His sons are carrying on the successful tradition of their illustrious father. Dhirubhai Ambani was born on 28 December 1932 at Kukaswada near Chorwad, Junagadh (now the state of Gujarat, India) to Hirachand Gordhanbhai Ambani and Jamnaben in a Modh Bania family of modest means. He was the second son of a school teacher. He was always honest in every action thoughout his life. When he was 16 years old, he moved to Aden, Yemen. He worked with A. Besse & Co. for a salary of Rs.300. Two years later, A. Besse & Co. became the distributors for Shell products, and Dhirubhai was promoted to manage the company’s filling station at the port of Aden. He was married to Kokilaben and had two sons, Mukesh and Anil, and two daughters, Nita Kothari and Rina Salgaonkar. Kokilaben and Dhirubhai Ambani, In the 1950s, the Yemini administration realized that their main unit of currency, the Rial, was disappearing fast. Upon launching an investigation, they realized that a lot of Rials were being routed to the Port City of Aden. 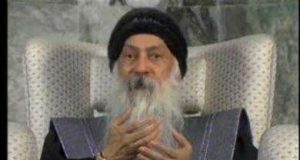 It was found that a young man in his twenties was placing unlimited buy orders for Yemini Rials. In 1962, Dhirubhai returned to India and started Reliance.Reliance was to import polyester yarn and export spices. The business was setup in partnership with Champaklal Damani, his second cousin, who used to be with him in Aden, Yemen. The first office of the Reliance Commercial Corporation was set up at the Narsinatha Street in Masjid Bunder. It was 350 sq ft (33 m2). room with a telephone, one table and three chairs. Initially, they had two assistants to help them with their business. In 1965, Champaklal Damani and Dhirubhai Ambani ended their partnership and Dhirubhai started on his own. It is believed that both had different temperaments and a different take on how to conduct business. While Mr. Damani was a cautious trader and did not believe in building yarn inventories, Dhirubhai was a known risk taker and he believed in building inventories, anticipating a price rise, and making profits. In 1968, he moved to an upmarket apartment at Altamount Road in South Mumbai. Ambani’s net worth was estimated at about Rs.10 lakh by late 1970s. Reliance Textiles : Sensing a good opportunity in the textile business, Dhirubhai started his first textile mill at Naroda, in Ahmedabad in the year 1977. Textiles were manufactured using polyester fibre yarn. Dhirubhai started the brand “Vimal”, which was named after his elder brother Ramaniklal Ambani’s son, Vimal Ambani. Extensive marketing of the brand “Vimal” in the interiors of India made it a household name. Franchise retail outlets were started and they used to sell “only Vimal” brand of textiles. In the year 1975, a Technical team from the World Bank visited the Reliance Textiles’ Manufacturing unit. This unit has the rare distinction of being certified as “excellent even by developed country standards” during that period. Dhirubhai Ambani is credited with starting the equity cult in India. More than 58,000 investors from various parts of India subscribed to Reliance’s IPO in 1977. Dhirubhai was able to convince large number of small investors from rural Gujarat that being shareholders of his company would be profitable. Reliance Industries was the first private sector company whose Annual General Meetings were held in stadiums. In 1986, The Annual General Meeting of Reliance Industries was held in Cross Maidan, Mumbai and was attended by more than 35,000 shareholders and the Reliance family. Dhirubhai managed to convince a large number of first-time retail investors to invest in Reliance. Ambani’s net worth was estimated at about Rs.1 billion by early 1980s. In 1982, Reliance Industries came up against a rights issue regarding partly convertible debentures. It was rumored that company was making all efforts to ensure that their stock prices did not slide an inch. Sensing an opportunity, a bear cartel which was a group of stock brokers from Calcutta started to short sell the shares of Reliance. 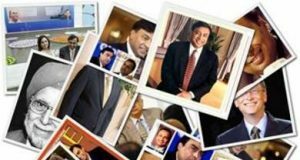 To counter this, a group of stock brokers till recently referred to as “Friends of Reliance” started to buy the short sold shares of Reliance Industries on the Bombay Stock Exchange. The Bear Cartel was acting on the belief that the Bulls would be short of cash to complete the transactions and would be ready for settlement under the “Badla” trading system operative in the Bombay Stock Exchange. The bulls kept on buying and a price of Rs. 152 per share was maintained till the day of settlement. On the day of settlement, the Bear Cartel was taken aback when the Bulls demanded a physical delivery of shares. To complete the transaction, the much needed cash was provided to the stock brokers who had bought shares of Reliance, by none other than Dhirubhai Ambani. In the case of non-settlement, the Bulls demanded an “Unbadla” (a penalty sum) of Rs. 35 per share. With this, the demand increased and the shares of Reliance shot above 180 rupees in minutes. The settlement caused an enormous uproar in the market and Dhirubhai Ambani was the unquestioned king of the stock markets. He proved to his detractors just how dangerous it was to play with Reliance. To find a solution to this situation, the Bombay Stock Exchange was closed for three business days. Authorities from the Bombay Stock Exchange(BSE) intervened in the matter and brought down the “Unbadla” rate to Rs. 2 with a stipulation that the Bear Cartel had to deliver the shares within the next few days. The Bear Cartel bought shares of Reliance from the market at higher price levels and it was also learnt that Dhirubhai Ambani himself supplied those shares to the Bear Cartel and earned a healthy profit out of The Bear Cartel’s adventure. After this incident, many questions were raised by his detractors and the press. Not many people were able to understand as to how a yarn trader till a few years ago was able to get in such a huge amount of cash flow during a crisis period. The answer to this was provided by the then finance minister, Pranab Mukherjee in the parliament. He informed the house that a Non-Resident Indian had invested up to Rs. 22 Crore in Reliance during 1982-83. These investments were routed through many companies like Crocodile, Lota and Fiasco. These companies were primarily registered in Isle of Man. The interesting factor was that all the promoters or owners of these companies had a common surname Shah. An investigation by the Reserve Bank of India in the incident did not find any unethical or illegal acts or transactions committed by Reliance or its promoters. Over time, Dhirubhai diversified his business with the core specialisation being in petrochemicals and additional interests in telecommunications, information technology, energy, power, retail, textiles, infrastructure services, capital markets, and logistics. The company as a whole was described by the BBC as “a business empire with an estimated annual turnover of $12bn, and an 85,000-strong workforce”. He has been accused of acting unethically, having manipulated government policies to suit his own needs, and has been known to be a king-maker in government elections. Although most media sources tend to speak out about business-politics nexus, the Ambani house has always enjoyed more protection and shelter from the media storms that sweep across the country. 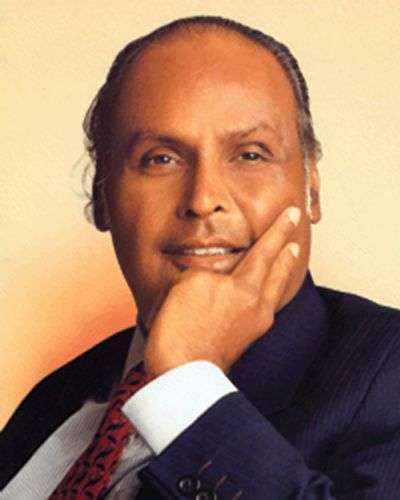 Dhirubhai Ambani was admitted to the Breach Candy Hospital in Mumbai on June 24, 2002 after he suffered a major stroke. This was his second stroke, the first one had occurred in February 1986 and had kept his right hand paralyzed. He was in a state of coma for more than a week. A battery of doctors were unable to save his life. He died on July 6, 2002, at around 11:50 P.M. (Indian Standard Time). His funeral procession was not only attended by business people, politicians and celebrities but also by thousands of ordinary people. His elder son, Mukesh Ambani, performed the last rites as per Hindu traditions. 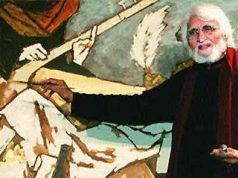 He was cremated at the Chandanwadi Crematorium in Mumbai at around 4:30 PM (Indian Standard Time) on July 7, 2002. He is survived by Kokilaben Ambani, his wife, two sons, Mukesh Ambani and Anil Ambani, and two daughters, Nina Kothari and Deepti Salgaonkar. In November 2004, Mukesh Ambani in an interview, admitted to having differences with his brother Anil over ‘ownership issues.’ He also said that the differences “are in the private domain.” He was of the opinion that this will not have any bearing on the functioning of the company saying Reliance is one of the strongest professionally-managed companies. Considering the importance of Reliance Industries to the Indian economy, this issue got an extensive coverage in the media. Kundapur Vaman Kamath, the Managing Director of ICICI Bank was seen in media, a close friend of the Ambani family who helped to settle the issue. The brothers had entrusted their mother, Kokilaben Ambani, to resolve the issue. On June 18, 2005, Kokilaben Ambani announced the settlement through a press release. * 2000, 1998 and 1996 – Featured among ‘Power 50 – the most powerful people in Asia by Asiaweek magazine. * Dhirubhai Ambani was named the Man of 20th Century by the Federation of Indian Chambers of Commerce and Industry (FICCI). * A poll conducted by The Times of India in 2000 voted Him “Greatest Creator of Wealth In The Centuries”. He is the true son of India’.